Oh my god! 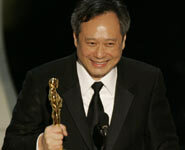 Ang Lee reads my posts on Big Queer! Okay, probably not. 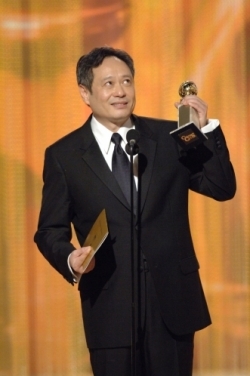 But in the spirit of giving credit where credit is due, it was nice to hear that after the conspiracy of silence regarding Brokeback Mountain and all things queer at the Globes, Mr. Lee actually referenced gay men and women in his Oscar acceptance speech. Of course I don't take back anything I said - the greatest allies of queer people in America's current political climate are and will be out, thinking, and active queer people - but it is still nice to be acknowledged. Besides, Ang Lee and the rest of the Brokeback crew whatever their sexualities were on the gay end of the prejudice stick last night. Not recognizing Brokeback Mountain as Best Picture was without question the result of homophobia, and while queers felt that sharp, sharp pain deep in our hearts in ways that perhaps they could not, I'm sure Ang & co. felt it to some degree, too. So thank you, Mr. Lee for the movie and your words from one small voice (with one big mouth) in cyberspace.